Virtual Athletics League Season 1 Gets Us Hyped for New eSports Games! Home Experiences Virtual Athletics League Season 1 Gets Us Hyped for New eSports Games! Virtual Athletics League (VAL) is a global Virtual Reality arcade and eSports league that recently hosted their first tournament of the season with Space Pirate Trainer in September. VIVE’s Blog and a press release each announced that the official Season 1 of Virtual Athletics League will have more active VR titles than ever! Fit gamers will want to get in on this event! VAL announced a VR esports collaboration among SpringboardVR and LIV with a sponsorship from HP Inc and HTC eSports as sponsors. Season 1 of VAL will work with 7 VR game studios to bring their action-packed games to arcades and play spaces around the world. Signing up for the league doesn’t take much effort (sign up online! ), but practicing your timing, aim, and endurance will. Anyone with gaming experience and at any fitness level can participate in the league, but to rise up in ranking on a global leaderboard will take more than hopes and dreams. It’s going to take practice and fitness prowess for the VR games being played. We’ve said it before and we’ll say it till we’re blue in the face. Gamers looking for an active gaming experience don’t have to be couch locked or lazy! They can rise up and get in shape by playing mind-flexing and physically active games with VR! Active gamers and new fans dove into the Beat Saber tournament head first and bought the game. 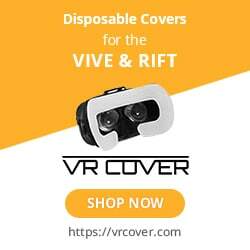 The game is so satisfying to play and watch and has such catchy tunes, that it enticed more people to play it and go out and buy VR headsets to use at home. As a result, the tournament has helped people dive into VR and become more physically active. VAL eagerly announced that more global tournaments will be held in October, November, and are expecting more dates and game announcements soon. The league welcomes a diverse range of players with single and multiplayer games. But, they also address that the gameplay intensity, skill set, and ascent within the league and their respective games depends on the individual player. What we put our focus, fitness, and effort into is what we get out of it, right? Season 1 has 7 VR game titles that are sure to make our heart rate rise, especially Space Pirate Trainer, Arizona Sunshine, Island 359, and QuiVR. However, we can’t help but longingly wish Beat Saber was headlining in Season 1. Especially since player’s “heart rates [were] topping out at nearly 180 BPM” and its fitness intensity being on par with tennis in their recent tournament with the league. Will the rhythm slasher will be added to Season 1 later or return for Season 2? Only time will tell. Going on to say that “Our hope is for each arcade to eventually have things like jerseys, dedicated teams, professional casters and a Twitch fanbase.” The arcade vs. arcade model could not only mean more local, regional, and country-wide team and game loyalty, but it could amplify the return rate of visitors and even help fuel VR headset and game sales. Season 1 of Virtual Athletics League is the perfect time for anyone looking to become more active or athletic to become a part of something as exciting as Virtual Reality eSports. This is a call to all fit gamers that want to take their training and fitness to a whole new level with serious competition. Try out these games, hone your skills, and get your friends to join you. Do whatever it takes to climb the local and global leaderboards. Your body and competitive spirit will thank you for it. Previous articleThis Weeks VR Game Roundup – Archery, Table Tennis, & Fightin’!